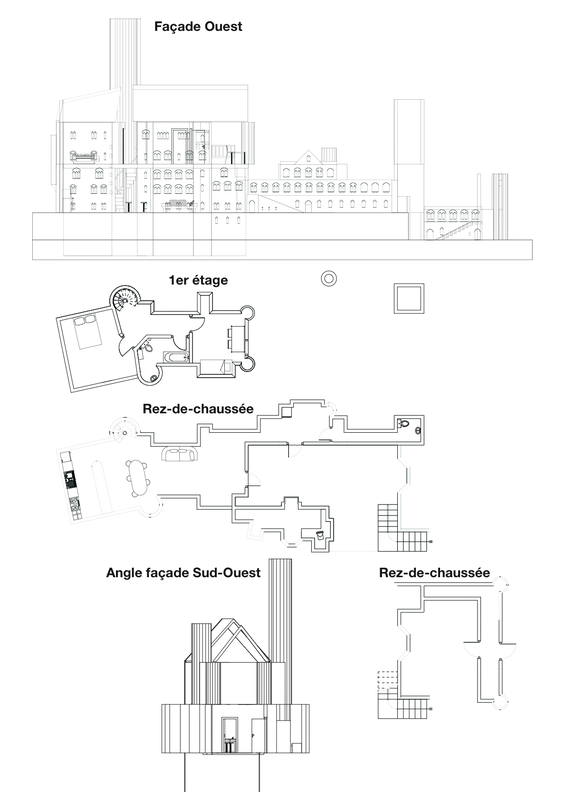 2008, printed image, 100 X 70cm, an architectural plan, with Joaquim Silvestre. A castle Neuschwanstein for a family of five, father, mother, two sons and a daughter. The housing plan has been designed from the castle of Neuschwanstein is a picturesque German castle near Füssen in the Allgäu. Louis II of Bavaria was built in the nineteenth century. Although construction of the castle has been rejected by him and by the people is now one of the most famous castles in Germany. It is a great castle that was entirely appropriate in scale for a family of five. It is as if we had shrunk as in its actual size to become an ordinary house in its size. This castle was the model for the story of "The Sleeping Beauty" that we can also see at Disneyland in California, Hong Kong, Paris.